Is Virtual Reality Really the Future? Last year we finally saw the first commercially available VR hardware and software become widespread. What started off as a post from Mark Zuckerburg in 2014 about Facebook acquiring Oculus Rift, has now snowballed into the most exciting new entertainment and creative medium out there. There would definitely be egg on the faces of many out there that thought “so what” when they saw that post. Needless to say, VR is now making a big wave in our industry and we’re keen to be at the crest of it. There’s no surprise that VR video games are a few steps ahead of any other uses at the moment. This is largely down to the technology being adapted pretty quickly – good news for you gaming nuts out there (us included!). Better yet though, a lot of the real-time engines which video gaming and animation studios use to create their products are free to download! Bullet Train by Epic Games (we played this at their studio – it was awesome! ), Henry by Oculus Story Studio, EVE: Valkyrie by CCP Games, to name a few. Unity has risen from startup to serious competitor for the likes of Unreal. VR has helped them continue to level the playing field thanks to the power of their engine and the quality of their community engagement. Check out the stylised shooter SUPERHOT VR by SUPERHOT Studio made in Unity engine for a taste of what’s possible here. 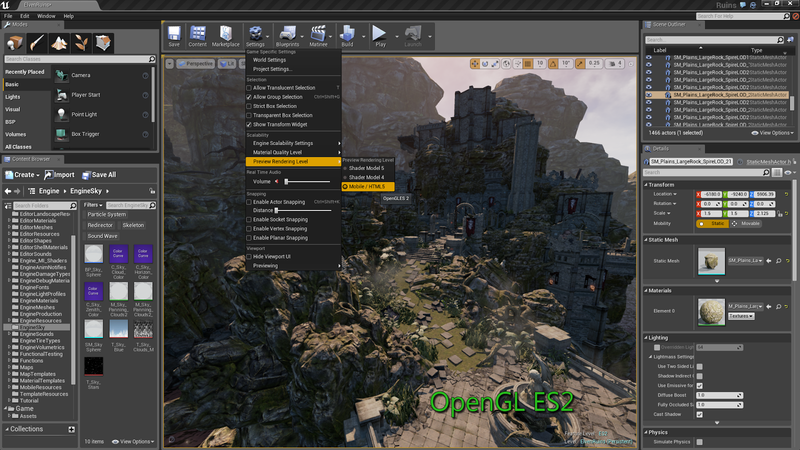 Cryengine games have been known as a bit of a benchmarking tool for the power of your gaming system in the last few years. The Far Cry and Crysis series chief among them. Instead of being flat out free, Cryengine operates on a pay-what-you-want model, which helps get it into the hands of many more creatives like us. A bit of a blindside this one, who would have thought that Amazon would be weighing in so heavily on the VR revolution? Just goes to show what a powerful medium it is that massive companies such as theirs are getting involved. Lumberyard supports all major VR headsets and is fast-becoming a well-respected alternative to the more experienced engines it competes with. Gaming is obviously the most popular and influential industry currently pushing VR forward and that’s not likely to change anytime soon. This bodes well for the future of VR for two reasons: The first is that the technology is getting into the hands of a huge audience who will all be creating stuff using their free software. The second is that gaming is an absolute giant of an industry, worth more than the film industry by a wide margin too. Such a big push for quality and innovation here is excellent for the health of VR in general. So whilst gaming has captured the virtual imagination of millions already if this technology really is the future, it might need a little more than Master Chief, Super Mario, and Lara Croft to get involved. Luckily, non-gaming related outlets for VR have exploded recently too. As is proclaimed on their site “Tilt Brush lets you paint in 3D space with virtual reality.” What else really needs to be said? For animators doing 3D modeling, this offers you a kind of creative immersion that was impossible without VR. You can scrutinise and edit your models from every angle and with an intimacy that is hard to describe. 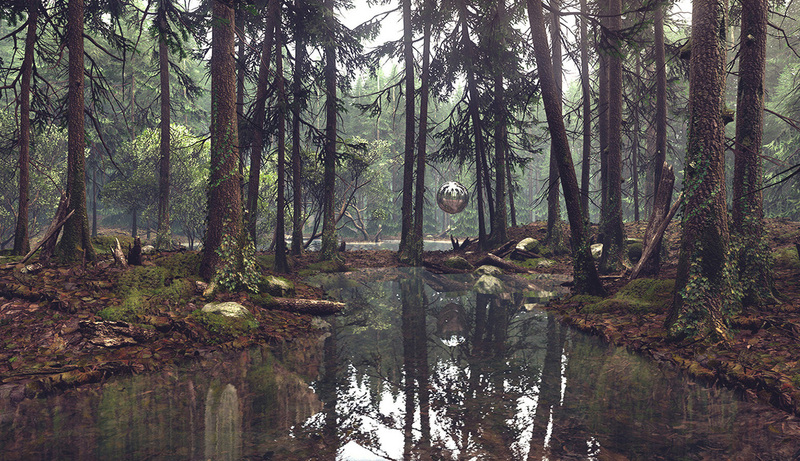 The masterpieces that some people are making with this software are mind-boggling. It’s like Microsoft Paint has evolved. Another one from the big G, Daydream Labs is absolutely revolutionary for animation. Imagine a world where instead of animating with graph editors or icons representing location, you could just reach out, grab a virtual toy, and carry it through the scene. Don’t worry we’re not all out of jobs just yet… Whilst this makes animating a short scene a doddle for even first-time animators, it’s mostly a tech demo/toy at this point. Still, we’re really happy to see Google supporting the accessibility of VR like this – hopefully it inspires many. VR has even been adopted by many of the more developed armed forces around the world for multiple purposes. 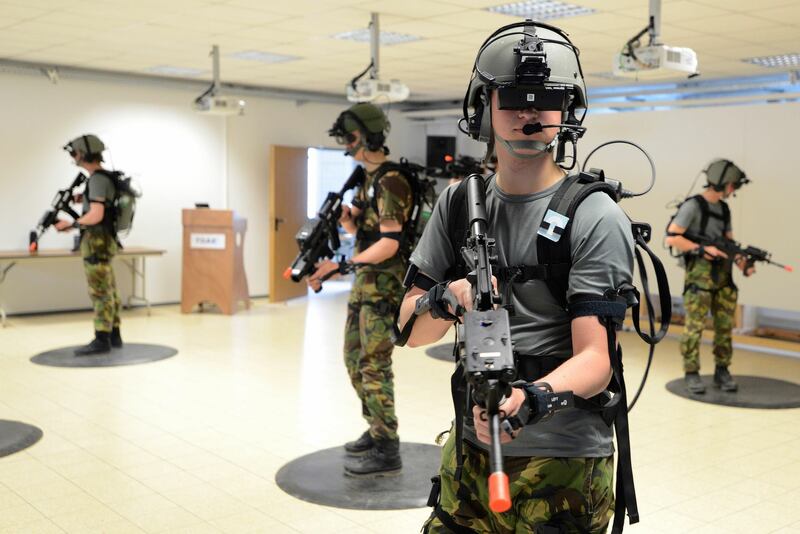 It offers them the ability to immerse their soldiers in battle simulations whilst in a completely safe environment and saving time and cost massively during orientation. What’s especially impressive is that VR is frequently used as part of PTSD therapy treatment. The idea is to gradually expose the sufferer to their triggers to help them adjust to their symptoms and develop coping strategies whenever they are placed in a new situation. 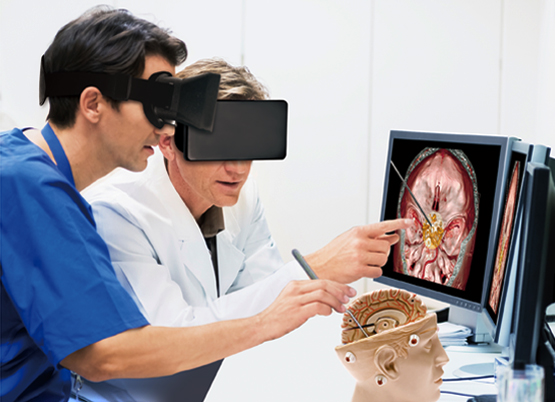 With this in mind, it should come as no surprise to you that VR is at the cutting edge of many more medical treatments, especially in pain relief, surgery simulation and phobia treatment. Again, the idea here is that the ‘safe environment’ VR is so adept at creating is the perfect place for diagnostics and surgery training to happen. 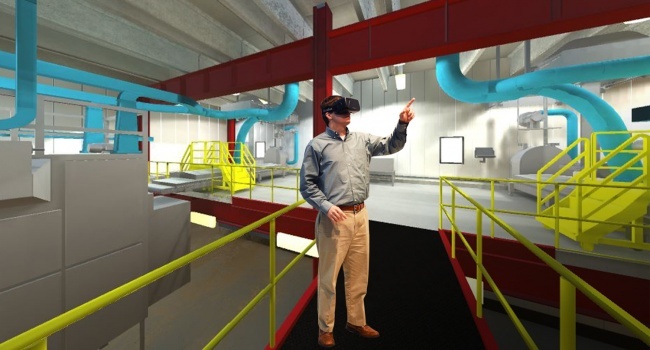 By using a virtual environment during the planning stages of a large-scale construction project, an organisation can not only render the resulting structure in 3D but also experience it as they would in the real world. I’ve been mentioning this one throughout the whole post really – it’s the most obvious after gaming, after all. VR training solutions keep costs down and offer the chance to immerse the student in a near-reality situation without all the potential risks. Aside from the aforementioned military and surgical applications, VR is used all over the place now to train pilots, engineers, astronauts, sailors and more. Google Expeditions can send you on a ‘field trip’ to loads of places both on and off the planet. Don’t be surprised when your kids get home and tell you about their virtual reality lessons where they went to Venus in the near future, it’s coming. Google Arts HYPERLINK “https://www.google.com/culturalinstitute/beta/”& HYPERLINK “https://www.google.com/culturalinstitute/beta/” Culture gives you a 360-degree tour of many galleries, catwalks, and theaters worldwide. Haven’t been able to get to see Van Gogh’s Starry Night? Now you can press your face against it and see the contour of every brushstroke. VR is still so young and has a load of flaws which are hard to ignore. I’m not too proud to say that I felt a bit sick when I was whizzing around in Rec Room, and I’m not the only one. Moving in a 3D space in VR is tricky too, many going for the ‘point and click to teleport’ method which feels a bit unintuitive. But rest assured, with the might of the gaming industry as well as some of the world’s biggest technology companies behind it, VR is set to have a mind-blowing future. Digital Marketing. A member of the Chartered Institute of Marketing (CIM), Charlie is responsible for Fudge’s digital marketing as well as driving content strategy for the studio and our clients. Charlie has a wealth of digital marketing experience and has a particular passion and flair for social content marketing. Get More Animated. Contact Fudge.